Websites by Jon are mobile friendly, look great, and clearly outline what you have to offer. as simple as possible, giving you as little or as much input as you like. We’ll have a chat about you and your business and what you would like from your website. We’ll talk look and feel. I’ll provide you with a few designs to choose from, and we’ll get started. I’ll add your content, which you can write yourself, or leave that up to me to organise. Hurray! I will make your website live and submit it to Google, and you can start promoting it. Why a website by jon? 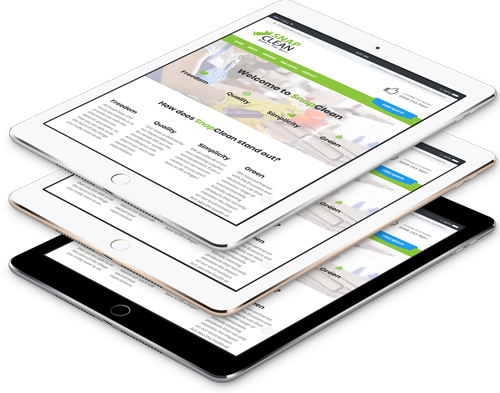 With around 60% of all website traffic coming from mobile devices, having a mobile friendly website is a must. I develop with a range of screen sizes in mind, so that no matter the screen size, your site will look great. Websites by Jon are compliant with all web development standards, enabling your website to load faster, work in all modern web browsers and be found by search engines to produce higher page rankings. Working with me adds a personal touch to your project, as you will be dealing directly with me throughout the whole process. The project is only over once you are completely happy, and I will never abandon you once your website is live. How much do websites by Jon cost? Choose from three simple website plans, with upfront pricing and no hidden costs. These plans are suitable for most businesses, but if you would like something special, please contact me and we can discuss your needs. A beautiful mobile-friendly one page website to give you an online presence. A beautiful mobile-friendly website with all the bells and whistles. Everything you need to re-brand or start your new business. Your website is built in WordPress content management system (CMS). This allows you to edit content yourself using an easy to use visual editor. You will receive full training free of charge. Excluding ‘Starter’ package. Every website I build is designed and developed with your business in mind. No store bought templates used here. I think about your customers and what they want to see on your website. After your website is built, whenever you want to ask a question, or make a change, I’m only a phone call or email away. Google Analytics is integrated into every website by Jon. This is a powerful tool that allows you all sorts of information about your website views, visitors, and more. Get insights on which content is working or not, and see how your website acquires new users. It’s important your visitors are not spending precious time waiting for your website to load. Google can penalise sites when they take a long time to load. Websites by Jon are optimised to load quickly, and when they’re hosted on my speedy server, load even faster. It’s important that people visiting your site can easily find what they’re looking for. Websites by Jon are designed with a simple navigation so that your content is presented in a clear and concise manner.